Interactive notifications: App notifications in iOS 8 are actionable. This means that users will be able to take actions on notifications for text messages, emails, reminders or Facebook without the need to open their respective apps. This will allow them to focus on the task they’re working on. New Messages app: The Messages app now offers the ability to communicate with just a swipe. Tap to Talk feature allows users to share their voice and the same gesture also works for sharing videos and photos within Messages app. Users can choose to share their current location from within Messages. Health app: The new Health app gathers the information that users choose from their various health apps and fitness devices (Fitbit, Fuel Band), and provides a clear, consolidated overview in one place. 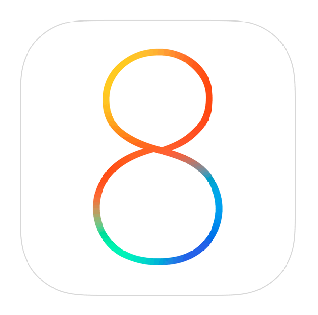 iOS 8 offers developers the ability for health and fitness apps to communicate with each other. Predictive text & support for third party keyboards: Apple has also introduced predictive typing for its QuickType keyboard, which is more personalised, and takes context into account, such as who the recipient is and in which app users are typing. The OS now also supports third party keyboards just like Android. Family Sharing: Family Sharing allows users to communicate and share purchases, photos and calendars within the same household. Family members can browse and download each other’s iTunes, iBooks or App Store purchases. Up to six members can participate, each with their own Apple ID. Continuity: With iOS 8 and OS X Yosemite, Apple has made switching between iOS and Mac devices more seamless for users who use both platforms. iPhone owners can answer phone calls on their Mac or iPad, and even send SMS messages from any of them. They can start writing an email on one device and seamlessly continue on another. New Safari and Mail apps: Safari browser now offers Tab view on iPad. It also includes a new Sidebar that slides out to reveal bookmarks, Reading List, and Shared Links. The Mail app supports gestures for marking emails as read and flagging them. It also recognizes a reservation, flight confirmation, or phone number in an email. iCloud Drive: With iCloud Drive, documents of any type can be stored, accessed and edited across devices. Users can make edits on one device and the most up-to-date version of the documents will be available across all devices, including on iOS devices, Macs, Windows PCs or on icloud.com. Improved Spotlight search: Spotlight has now become intelligent and gives users suggestions from Wikipedia entries, places nearby, trending news, iTunes Store and App Store, among others. It detects context and location to improve search results. It even works inside Safari browser.